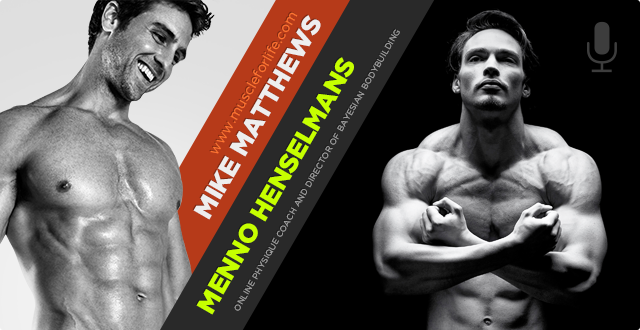 In this podcast I interview Menno Hennselmans, from BayesianBodybuilding.com, and we talk about how genetics affects your muscle and strength gains and aesthetics. I thought Menno would be the perfect person to talk to about this because he’s one of the leaders of the evidence-based fitness movement, and one of a handful of people in this space whose work I regularly follow and recommend. So, if you’ve been wondering about how your genetics influence things like the rate at which you can gain muscle and strength, how big and strong you can ultimately get, how your muscles look as they develop, and more, then you’re going to like this interview. 1:30 – How much do genetics affect speed of muscle growth & what are realistic expectations? 12:40 – What is the potential for muscle hypertrophy & size? 22:50 – What is the timeframe to reach your genetic potential? 25:50 – How do we predict the ceiling of our fat free mass? 35:20 – Is FFMI a hard and fast rule for the limits of a natural lifter? 49:10 – How much do genetics affect how your muscles look? 51:10 – How can you increase your bicep peak? 51:50 – Can genetics affect certain muscle groups responsiveness to training? 57:55 – What are muscle bellies and insertions, and how do genetics influence their look? 1:04:00 – Where can people find your work? 4:33 – How much do genetics affect speed of muscle growth & what are realistic expectations? 15:40 – What is the potential for muscle hypertrophy & size? 26:00 – What is the timeframe to reach your genetic potential? 28:50 – How do we predict the ceiling of our fat free mass? 38:20 – Is FFMI a hard and fast rule for the limits of a natural lifter? 52:10 – How much do genetics affect how your muscles look? 54:10 – How can you increase your bicep peak? 54:50 – Can genetics affect certain muscle groups responsiveness to training? 1:00:40 – What are muscle bellies and insertions, and how do genetics influence their look? 1:07:00 – Where can people find your work?